The 2014-15 Premier League campaign is winding toward its conclusion. 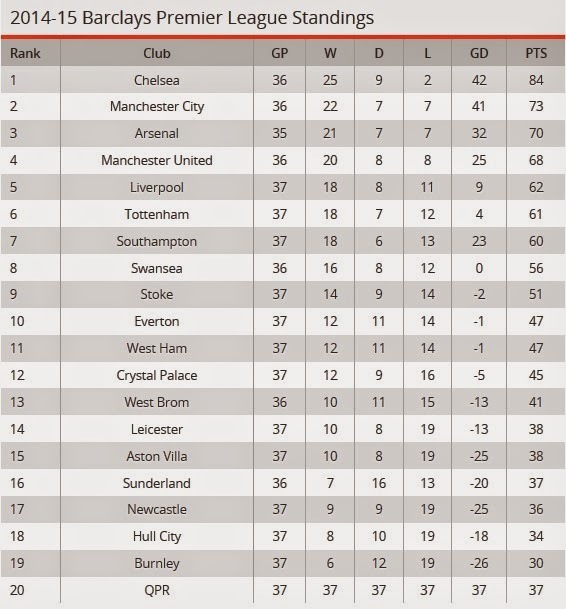 Although many of the key positions have already been locked up, including Chelsea claiming the championship. The weekend started with a bang as Southampton crushed Aston Villa by a 6-1 score. 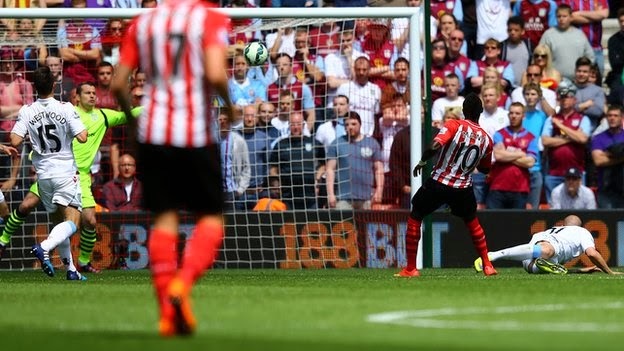 Sadio Mane led the offensive explosion after he found the net three times in less than three minutes. Shane Long also scored twice for the Saints. OFFICIAL: Southampton's Sadio Mane has just broken Robbie Fowler's record for the fastest-ever hat trick! 2 minutes 56 seconds! 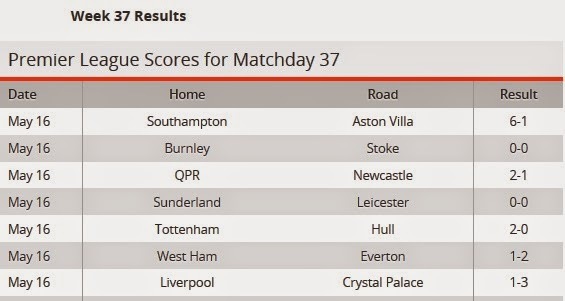 Totenham sealed Hull City hope for climbing the radder and escape relegation..
Liverpool lost 3-1 to Crystal Palace, but they remain in fifth place despite the defeat.